If you’re working out and eating right but need a little extra help with weight loss, injection therapy can help. At The IVy by HHMD in Glendale, California, you can enjoy relaxing sessions that include IV drips and vitamin injections to support your weight-loss goals. The IVy has more than 10 years of experience as a primary care physician and injection specialist for men and women in the Glendale community. Experience The IVy difference—call or click to schedule an appointment today. How does an IV drip help with weight loss? IV drips and infusions can be a vital component to your weight-loss strategy. IV drips help replenish fluids you lose through sweating during exercise and improve nutrient absorption. While IV drips and infusions won’t do all of the work for you, they can make your weight-loss journey easier and quicker. With increased hydration and nutrients, you will have more energy and focus to continue on your weight-loss journey. You also recover faster after exercise since you have the necessary vitamins to build and repair muscle. What is in an IV drip for weight loss? This amino acid helps your liver break down fats, lowers cholesterol, and relieves fatigue. It can also reduce allergy symptoms as it decreases histamine release. Inositol is a B vitamin that breaks down fats to burn as fuel, lowers cholesterol, and stabilizes mood and appetite. Choline supplementation for weight loss supports the breakdown of fats in the liver, regulates nervous system function, and fights inflammation. B12 is responsible for creating energy at a cellular level to increase your metabolism and overall energy. This way, B12 helps burn fat, detoxes, and regulates sleep, mood, and appetite. This combination of nutrients is called a MIC B12 injection or infusion. Other combinations can be made specifically for you at The IVy’s in-house compounding pharmacy. What can I expect during an IV drip session? During an IV drip session, you discuss your overall health and weight-loss goals. Based on your conversation, The IVy team recommends an appropriate IV solution. Once you are comfortable in the private treatment room, a team member painlessly inserts a tiny needle into your arm with a tube that connects the IV drip bag. Over the next hour, you relax while watching TV, listening to music, or simply resting. How will I feel after an IV drip? After your session, you will likely notice an immediate difference in your energy levels. * Throughout the rest of the day, you will experience increased energy, regulated mood, and an overall feeling of well-being. 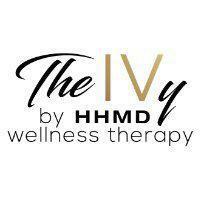 Take some of the struggle out of weight loss with injection therapy at The IVy by HHMD. Call or click to schedule a visit today.